The Threats, Real and Imagined, of Mexico’s Election – Sig Nordal, Jr. In less than five months, Mexico will have a presidential election that is being described by US and international media commentators as a perilous undertaking. 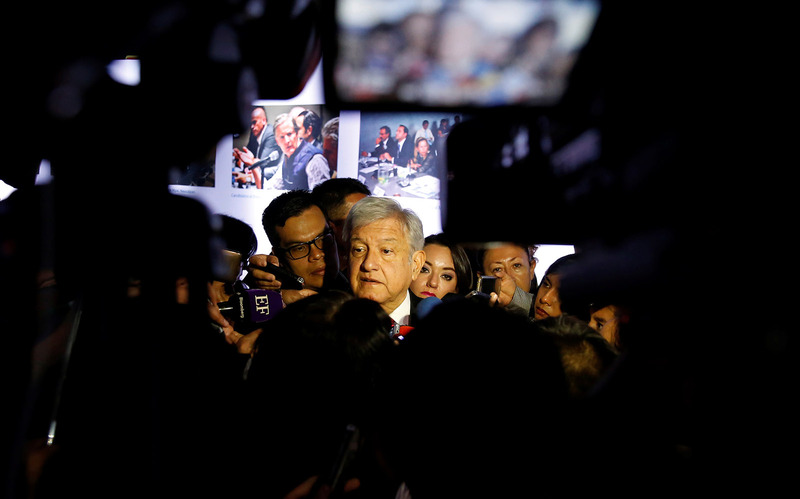 The problem, according to the pundits and the Trump administration, is that the leftist candidate Andrés Manuel López Obrador holds a sizable lead in the polls, and could well be Mexico’s next president. But is his possible election really such a threat? It is difficult to say how much he could do if elected, given the forces arrayed against him, both at home and from the north. But if there is a reform candidate and party in the race, it is López Obrador and his Morena party.